Whilst it might not be in our best interests to go promoting other wallpaper companies, especially those whose wallpaper patterns we don’t stock, there are occasionally interior designers offering patterns that simply take our breath away. Such a designer appeared in my internet browser this evening, her name is Anna Hill. 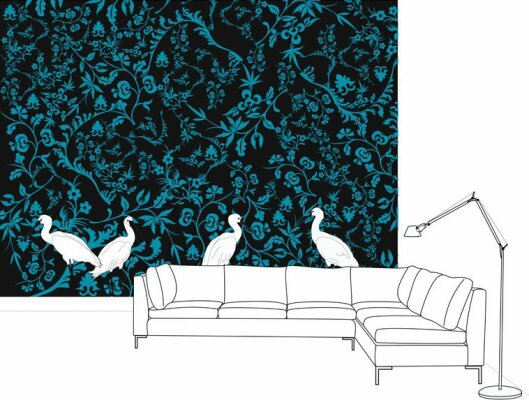 Anna’s unique and contemporary patterns can be 100% customised according to her rather lovely website, changing everything from the colour, design, theme and motif, offering her clients a wonderfully unique wallpaper. Anna was voted the MyDeco.com “One To Watch” Winner in 2008, and her work has been featured by Channel 4 – how she has slipped under our radar for so long I’ll never know.